The Killers and The Cure will headline this year's Glastonbury. Returning to Worth Farm once more, the Glastonbury team have formally unveiled the full line up for this summer's festival. The Killers and The Cure will both headline, and both groups have a long, convivial relationship with the Somerset event. Perhaps more surprisingly Janet Jackson will be hitting Glastonbury this summer, and her set is bound to be a highlight. 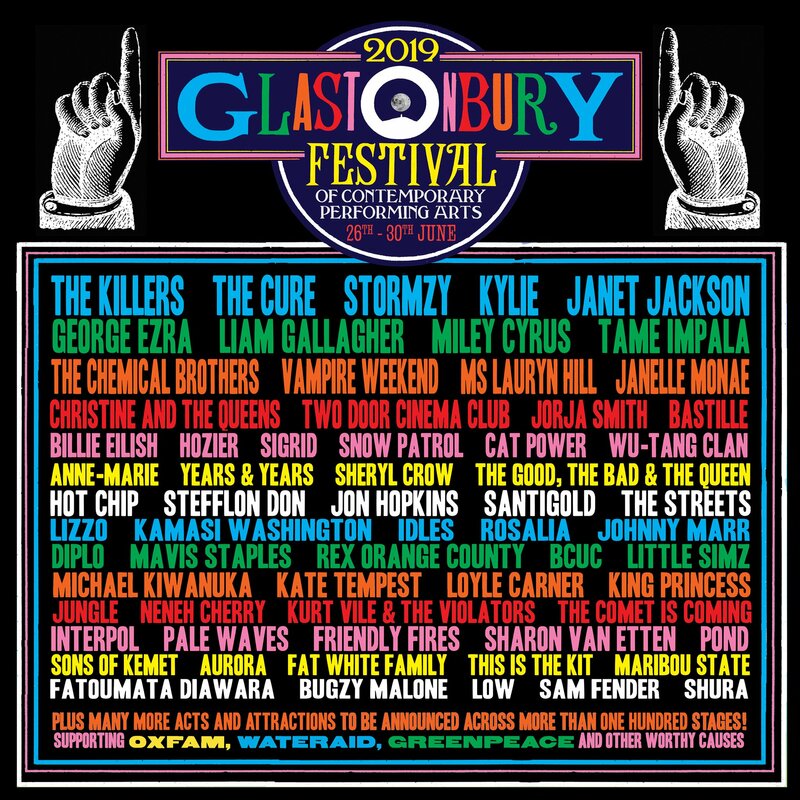 Christine and the Queens, Rosalia, Cat Power, Janelle Monae, Anne-Marie, Lizzo, and Little Simz have all been added, with Glastonbury showing admirable breadth in its booking. Lauryn Hill is set to hit Worthy Farm, with the Chemical Brothers, Jorja Smith, Kamasi Washington, Sigrid, and Wu-Tang Clan joining the party. Glastonbury 2019 runs between June 26th - 30th.